a concept for changing the ways leadership and staff communicate. One of Canada's largest banks offers its customers innovative ways to manage their money, but has been less successful updating the tools used by its employees. Collaboration is limited, software is outdated and productivity is hindered. The bank's future depends on its ability to attract a younger generation of workers who have been raised to expect sophisticated digital solutions in the workplace. I interviewed generations of bank employees in a variety of departments and provided analysis of their expectations, frustrations and successes in the workplace. I participated and when appropriate, facilitated team brainstorming sessions to provide forward-thinking, socially and environmentally responsible solutions that could improve employees' personal satisfaction and productivity. I helped craft recommendations for a new suite of tools, for innovative processes and for sustainable systems. 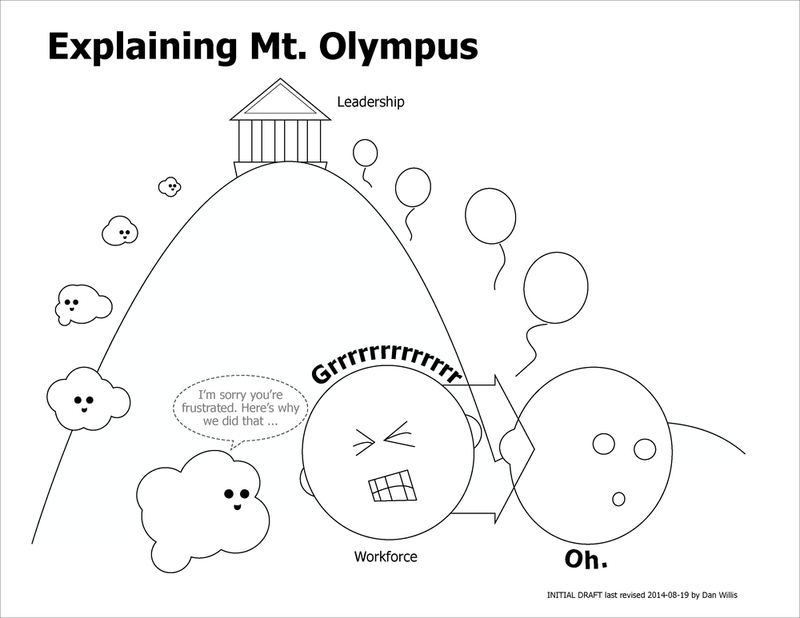 I created animated scenarios and other supporting content for presentation to leadership. I created illustrations for key concepts and solutions. I also provided project and client management as needed throughout the engagement.